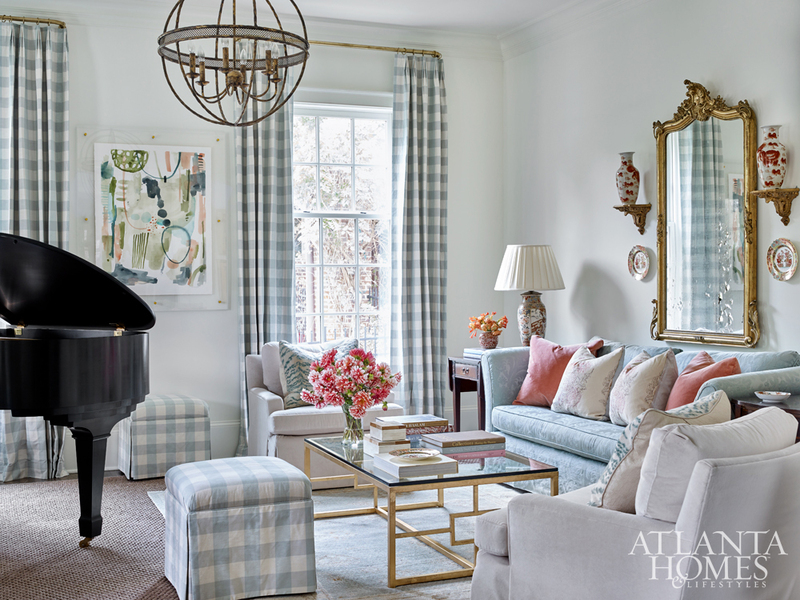 Fresh and inviting make this home a perfect reflection of spring. 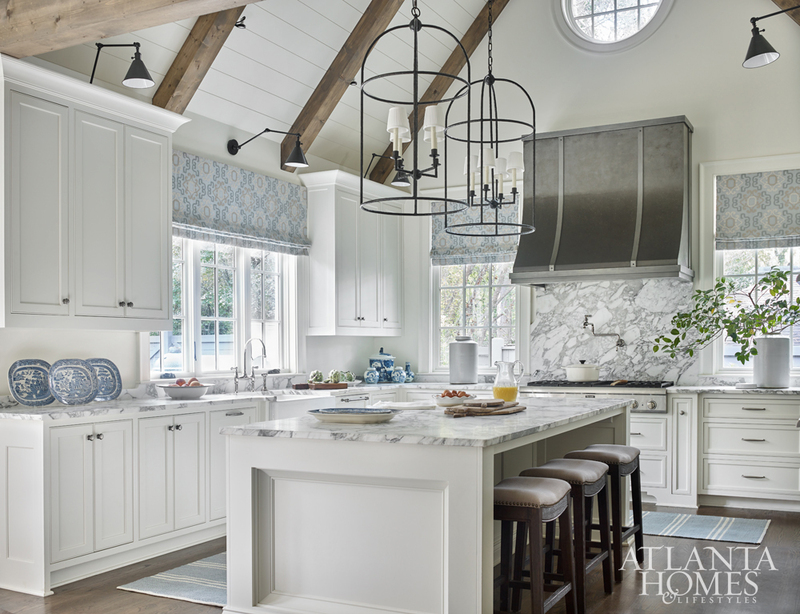 Designed by Lauren DeLoach Interiors in partnership with the homeowner’s vast collection of inherited blue-and-white porcelain along with a touch of modern accents, we were instantly smitten with this calm, yet invigorating expression of a classic color scheme. 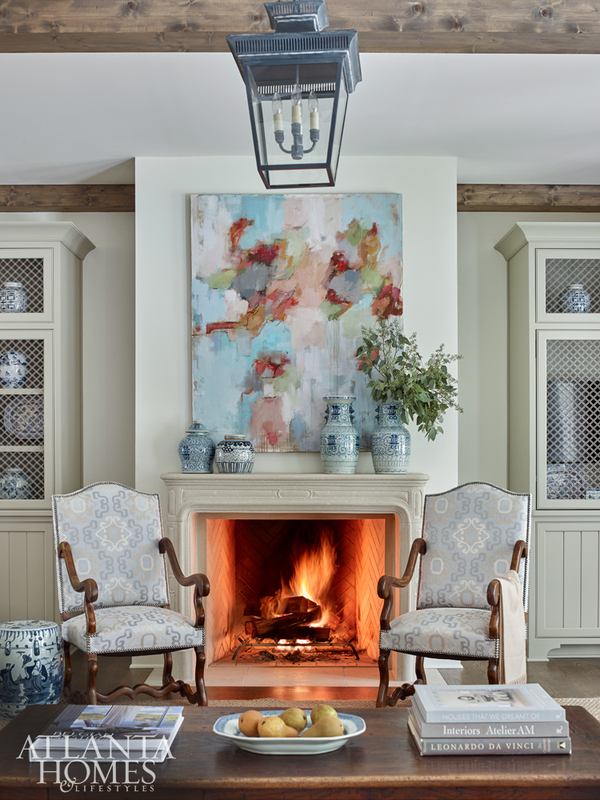 Built-in bookcases, limestone fireplace by Francois & Co., abstract art all continue the flow with the kitchen and breakfast room dressed in “soft neutral shades of blue and taupe,” according to Lauren. The kitchen provides the perfect backdrop to showcase the homeowner’s cherished collection of blue-and-white porcelain. The full drapery panels, variations in wood finishes and upholstery fabric bring a personalized look to this breakfast room. 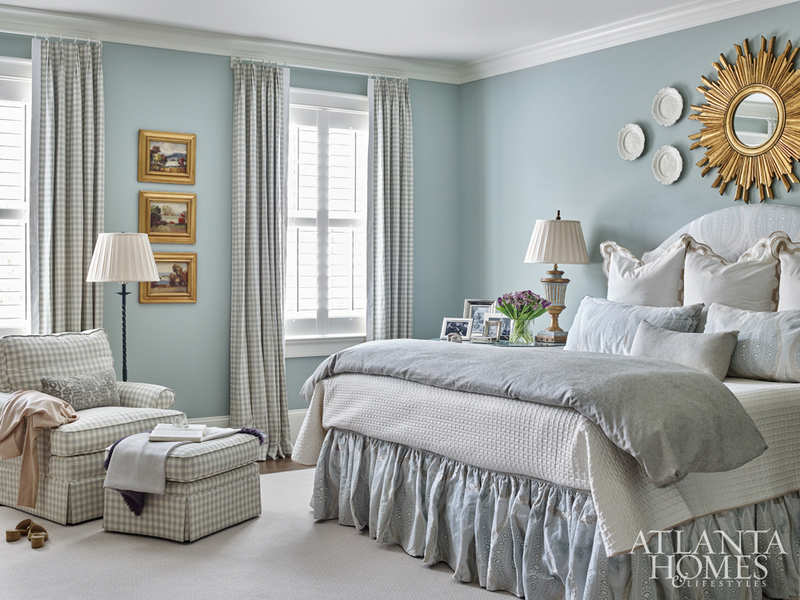 Variations in blue-and-white along with gold accents bring a touch of luxury to this master bedroom. This inspired design project represents a perfect collaboration between designer and client. To view the full gallery of this project please visit True to Tradition at Atlanta Homes & Lifestyles.